Iron is one of three basic metals that can be magnetized. Creation of a permanent magnet requires special equipment, as the iron rod would need to be heated past 1418 degrees Fahrenheit. 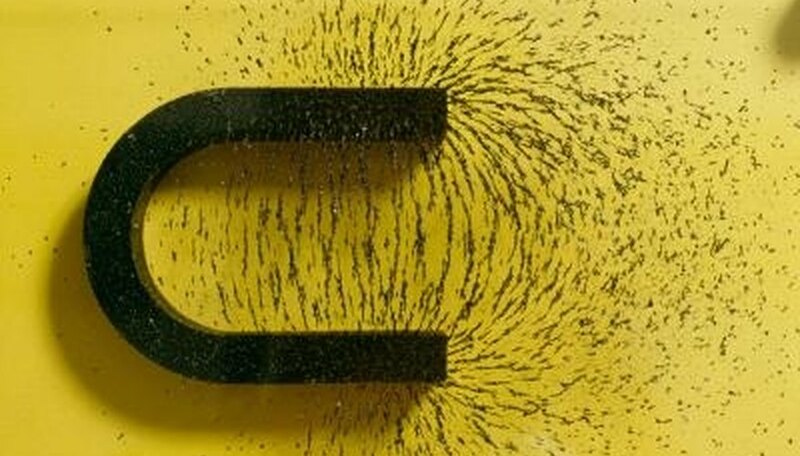 But a temporary magnet can be created using simple household materials. Temporary magnets are safe to create and use, and this can be either a fun project to do at home or a project for a school science class. Determine the poles on your magnet. On most magnets, this should be shown with an N on one end and an S on the other. Decide which pole you want to use to create your magnet. This is purely preference and will not affect the strength of your magnet. Position the magnet against the iron rod so that only the chosen pole is touching the rod. Begin at one end of the rod and rub the magnet down the length of the rod in one continuous movement. Continue stroking the rod with the magnet until the rod has the desired magnetic strength. You may want to periodically test the magnet, as there is no specific number of strokes to use. Yeager, Kaitlyn. "How to Magnetize an Iron Rod." Sciencing, https://sciencing.com/magnetize-iron-rod-5008167.html. 24 April 2017.